I love fall in this part of the country. It's so beautiful with the change of season. As much as I dislike winter, I look forward to the end of summer and into the Fall. We are at the end of the fall season. I started to "stock up" on cedar vegetable. 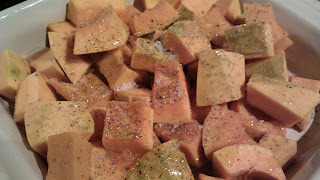 I passed by a farm stand on my way to Mr Wonderful a couple weeks ago and picked up the last of some fall squash. I think I might have gone a little over board. I need to use some of them. 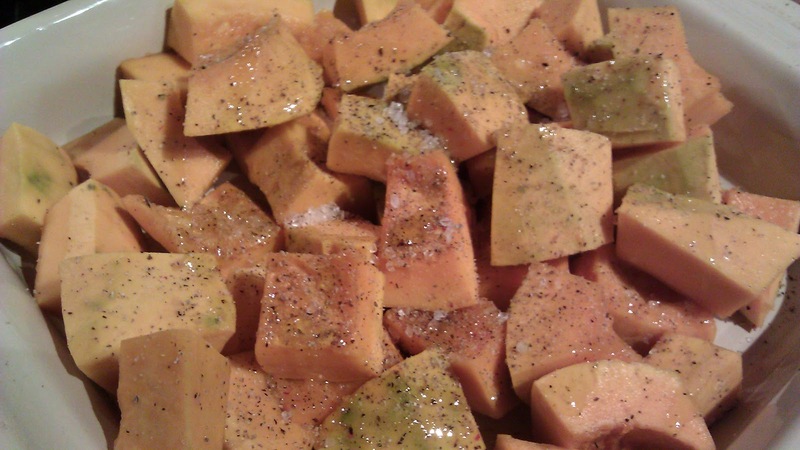 I love squash, however they can be a pain to prepare during the week. You can certainly microwave them, however baking and roasted brings out the sweetness in the vegetable. 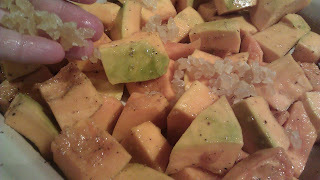 Here is a very simple one-dish preparation that I make quite often. 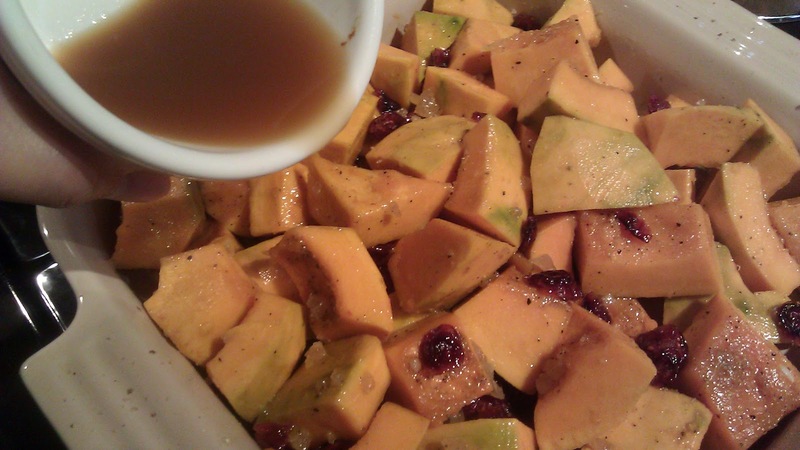 You can serve this as a side dish hot, or leave it in the fridge to toss in with your salads during the week. It's great reheated too. 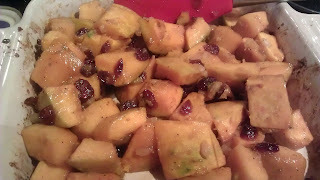 The candied ginger give it a bit of spice and will not overpower the the vegetable. 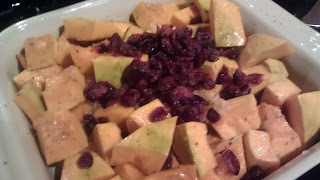 I added a little stock in the pan to soften the cranberry. You can also rehydrate the cranberry in some orange juice and skin the stock if you prefer. Mix in the stock, and give the mixture a quick mix. Bake for an hour. Give it a quick stir 30 mins into the baking. Once the squash is tender, it is ready.